Godspeed President Donald J. Trump! Fig. 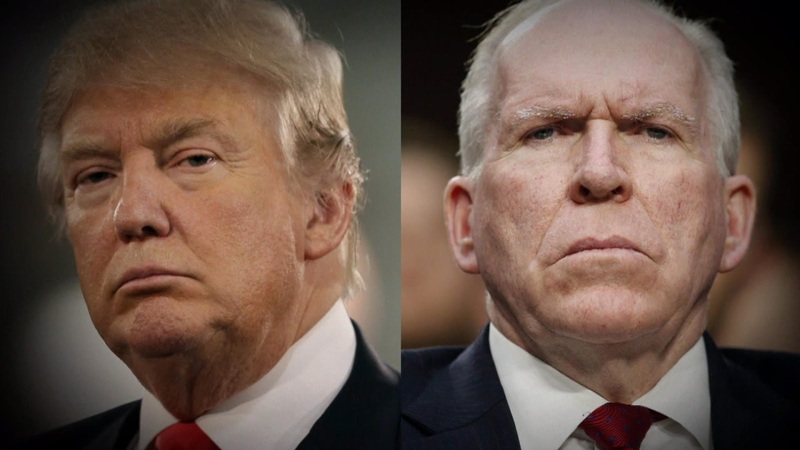 1: New research shows why it is imperative that Donald Trump reorganize the C.I.A., including its thousands of silicon Valley hacks, before they destroy the constitution. Few citizens know that the C.I.A. 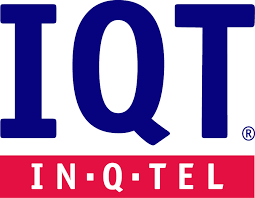 runs a large private investment company in Washington, D.C. and Silicon Valley named In-Q-Tel ("IQT") started on Sep. 29, 1999 by President Bill Clinton. 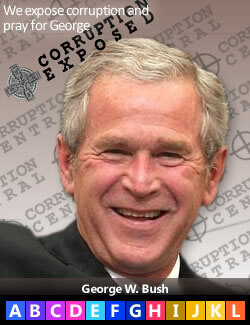 Presidents George W. Bush and Barak Obama have perpetuated and grown the company. Bottom line, C.I.A. liars gave birth to the liars of Silicon Valley—techies, lawyers and Wall Street. Main Street was screwed. Silicon Valley is building the Deep State communications system to destroy our Constitutional rights to privacy and security. Stop feeding these Silicon Valley theives your personal information. Notice: Every assertion in this post is supported by facts which we will be linking over the next few days. Please return to see the updated version that will contain a mountain of evidence. Alternatively, use the AFI search tool to find the evidence yourself. See also the TIMELINE: People you trusted are now hijacking the Internet for a full bibliography of support evidence. Note: We have downloaded all the source documents cited herein and will post the PDFs and soon as they are ready. In the meantime, let's see whether the actual source document disappear suddenly. 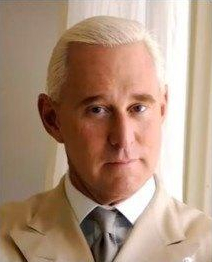 Roger Stone's doctors confirm that he was likely poisoned in December 2016 by radioactive polonium while writing his new book The Making of the President 2016: How Donald Trump Orchestrated a Revolution to be released in Jan. 2016. Polonium is a byproduct from a nuclear reactor, and as such, can only be produced by countries with nuclear capabilities. It is highly toxic to life. Ostensibly, the Russians used polonium to assassinate their former Russian FSB agent Alexander Litvinenko. However, new information points to British MI6 agent Christopher Steele as the most likely hit man. Steele was recently identified as the author of the smear "dossier" that the Democrats have been trying to pin on Donald Trump. Did Steele poison Roger Stone also? Roger Stone responded on his way in to the Donald Trump inauguration ceremony a few minutes ago: "Pure, unadulterated crap." Stone said he welcomed Congressional scrutiny of his assertion that he has no contact with Russians. He accused the C.I.A. 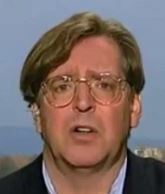 Deep State shadow government of fabricating these falsehoods that Dr. Ulfkotte says the C.I.A. does routinely. Stone believes the attack on him was meant to shut him up before he could debunk the lie that the Russians hacked the U.S. election. Where are the MSM reports on this attempt to assassinate a Donald Trump advisor? Their silence tells us all we need to know. C.I.A. 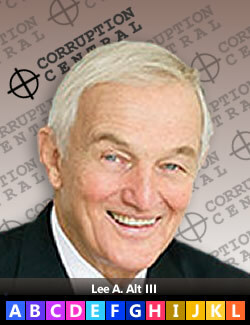 Whistleblower found dead: "We all lie for the C.I.A. ...I'm fed up with this propaganda"
Dr. Ulfkotte. We must all tell your story now so that your death will have not been in vain. George Soros-funded globalist surrogate Media Matters (founded by Clinton advisor David Brock) trumpets a The New York Times article yesterday accusing Trump advisor Roger Stone of being a Russian agent. (Remember, The New York Times is now owned by Mexican globalist Carlos Slim—the largest donor to The Clinton Foundation. Remember also, Soros' hedge funds make money from wars and rumors of wars as currency values go up and down in response—which feed more propaganda in a never ending stream of conflicts and money-making by globalists.) Curiously, this occurred at the same time that C.I.A. media whistleblower Dr. Udo Ulfkotte was found dead at age 56. See Ulfkotte video. (Jan. 17, 2017)—John Grisham’s fiction warned us about a Deep State takeover. Former C.I.A. operative and patriot, Steve Pieczenik, was a Grisham advisor. 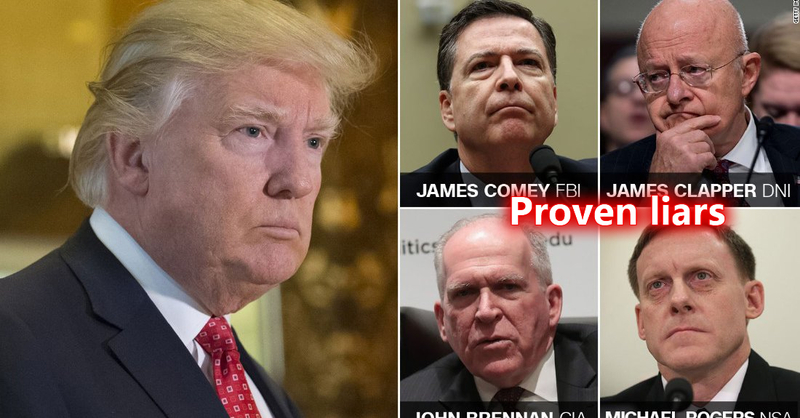 He is currently helping to prevent a takeover of America by the Deep State shadow government that does not control Donald Trump. The current C.I.A. attempts to smear President-elect Donald Trump, just days before his inauguration, have exposed their undemocratic treachery. For example, on Jan. 7, 2017 Senator Chuck Schumer issued a not-so-veiled threat to Donald Trump not to mess with the C.I.A. because they had "six ways from Sunday of getting back at you." 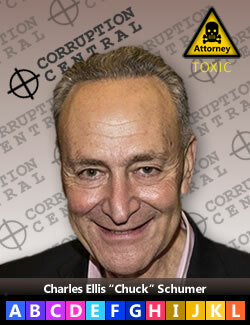 Is Senator Schumer inadvertently admitting that the C.I.A. is a rogue agency? Fig. 2—Top Senate NY Democrat Charles "Chuck" Schmumer essentially threatened Donald Trump with harm during this Jan. 07, 2017 interview with Rachel Maddow on MSNBC. Maddow calls Trump's Tweet 'unsolicited' in evident nervousness at possibly 'blindsiding' the senator. As a result, we may be observing a rare moment of unscripted globalist Schumer candor. Video: MSNBC. Shockingly, the current attempts by the C.I.A. rogue-backed globalists are not part of a Grisham spy novel, they are real and actually happening. 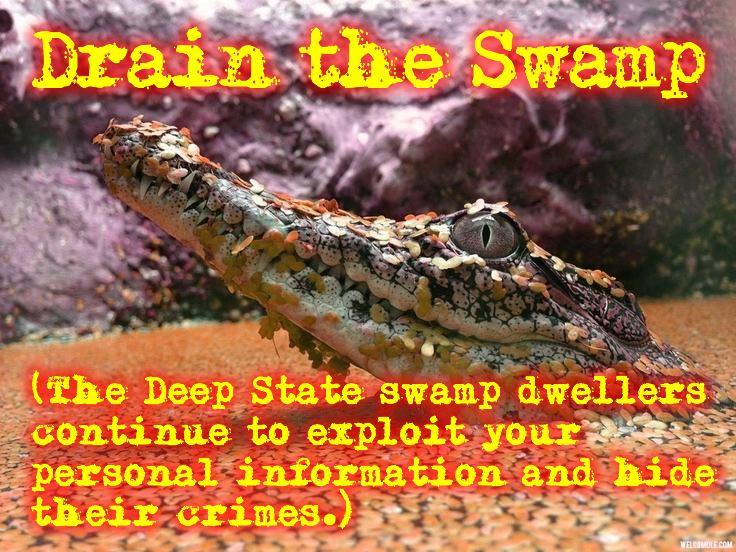 Fortunately, as the Deep State actors step from the shadows to protect their turf from Donald Trump, they themselves are providing the missing pieces in this puzzle of treachery and treason. The C.I.A. treachery of the shadow government can trace its contemporary roots back to Mena, Arkansas and London, England. 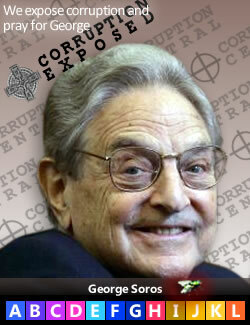 On Sep. 17, 1992, George Soros crashed the UK Pound and pocketed $1.4 billion overnight. 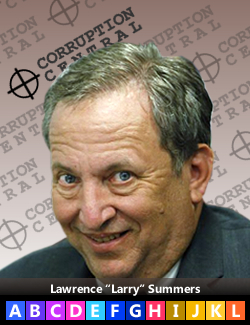 Two weeks later, Bill Clinton was elected the 42nd President of the United States and immediately appointed Harvard wonk and World Bank chief economist Larry Summers to the U.S Treasury. 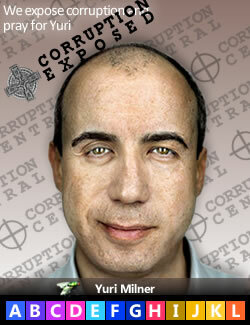 Summers immediately hired Russian Yuri Milner—later Mail.ru, DST, VKontakte (Russian Gmail and Facebook), and Sheryl K. Sandberg—later Gmail and Facebook. The recommendations pressed by this trio destroyed the emerging Russian economy. They pressed unworkable World Bank and IMF privatization policies that ushered in the current oligarch banking corruption upon which these criminals built their fortunes . . . with the help of George Soros. 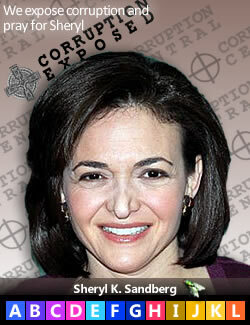 Their scheme to takeover global digital Email and social networks is evident in hindsight. Soros would go on to repeat this money market manipulation across the world for decades. These funds were used to finance Bill & Hillary Clinton, The Clinton Foundation, The Clinton Global Initiative, Barack Obama, his takeover of the U.S. Democratic Party and his Open Society Foundations globalist "new world order" political agenda. See also George Soros: The epic global meddler. Bill Clinton served two terms as governor of Arkansas (1979–1981, 1983–1992). 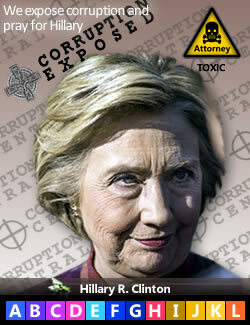 During their time in the state house, Bill and Hillary Clinton perfected their corruption skills which they brought to Washington, D.C. when Bill became president in 1993. They learned how to smuggle, sell and launder $100 million a month in cocaine through a small airport in Mena, Arkansas. 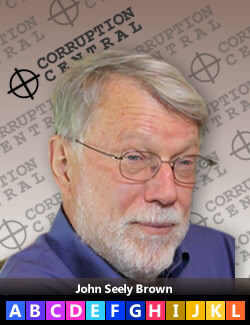 They covered up their activities through bribery, offering government employment, coercion . . . and murder, as needed, of judges, police and the media. 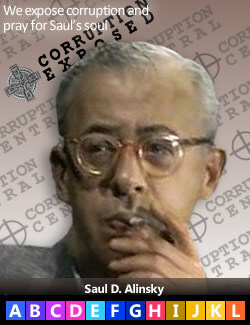 Hillary is a disciple of the anarchist and Luciferian—Saul Alinsky. 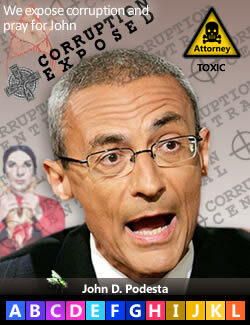 Alinsky loathed the Judeo-Christian natural order and morality. Hillary famously conjured up Eleanor Roosevelt and visited a Los Angeles witch’s coven regularly. Their former political fixer, Larry Nichols, exposed this conduct in his documentary The Clinton Chronicles (1994). 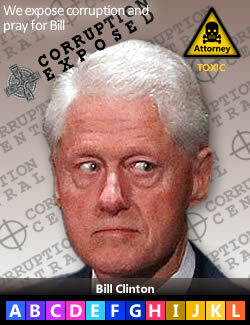 Bill Clinton was inaugurated to his first term on Jan. 20, 1993. Within months he teamed up with three equally ambitious individuals, John Podesta, Larry Summers and law professor James P. Chandler, III. On Jun. 07, 1993, (the digital sellout of America began this day—all the while, Bill and Hillary Clinton's former bodyguards and campaign staff were dying left and right, God Rest Their Souls) just five months after Clinton's inauguration, these men used White House influence to convene a meeting of leaders in technology, law, commerce and education with the singular focus to create a rationale for giving the FBI an encryption backdoor key. The C.I.A. was not mentioned, but lurked in the shadows as the real beneficiary. However, the C.I.A. and NSA are forbidden by law from spying on American citizens inside the United States. That said, Presidents Clinton, Bush and Obama executive orders have chipped away at dubious exceptions that empower the President to sneak around the law, ostensibly for our "security." To get the backdoor key approved, Podesta schmoozed politicians, Summers bankers and Chandler lawmakers and judges. The Clinton White House took control of the nation’s intelligence infrastructure through a string of dubious executive orders. 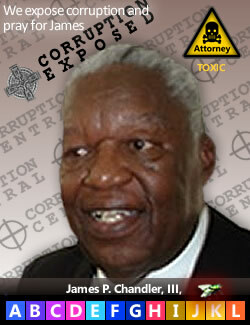 Chandler created the legal framework to pave the way for this takeover. He even rewrote the Economic Espionage Act and got the Congress to approve lying to Congress and courts. That’s right. it is legal to lie to Congress without legal penalty—False Statements Accountability Act of 1996, subsection (b). Summers worked on the repeal of Glass-Steagall. Among other things, this enabled him to launder the $10’s of billions he was accumulating from his offshore Russian oligarch accounts. 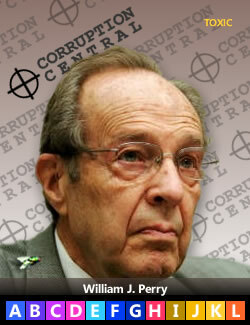 On Sep. 29, 1999 a lynchpin for this takeover plan was the formation of In-Q-Tel by the C.I.A. On the surface it sounded all sweetness and light. It would “unleash” the creativity of the private sector for the benefit of the C.I.A.―who was ostensibly protecting the homeland from global threats. Who could argue with that? Right? Wrong. The C.I.A. lies and deceives for a living. American justice can barely survive such wanton conduct. Placed in the hands of unscrupulous actors, such talents will pull down any country ostensibly ruled by law and not men. No one appears to oppose this illegal C.I.A. takeover of Silicon Valley hardware and software companies. Intelligence activities inside the United States are (should be) the exclusive domain of the FBI. One wonders how they have gotten away with it. The current officers and trustees of In-Q-Tel prove without question that America’s digital infrastructure was hijacked under Bill Clinton and that George Bush and Barack Obama also approved this immorality. In-Q-Tel run by the C.I.A. to pump billions of dollars in public funds to buy private companies in Silicon Valley. Once formed, the C.I.A. 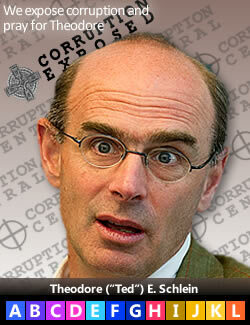 uses Wall Street to launder funds globally and create trillions of dollars in value to perpetuate this evil bubble. See also AFI Timeline, search "in-q-tel"
NIAC (National Infrastructure Assurance/Advisory Council) created by a string of dubious executive orders. See also AFI Timeline, search "niac"
The IBM Eclipse Foundation created by the Deep State to provide the common social technology infrastructure around the planet using Leader Technologies’ social networking invention as its foundation. See also AFI Timeline, search "eclipse"
Fig. 3—Deep State rogue C.I.A. shadow government organization. 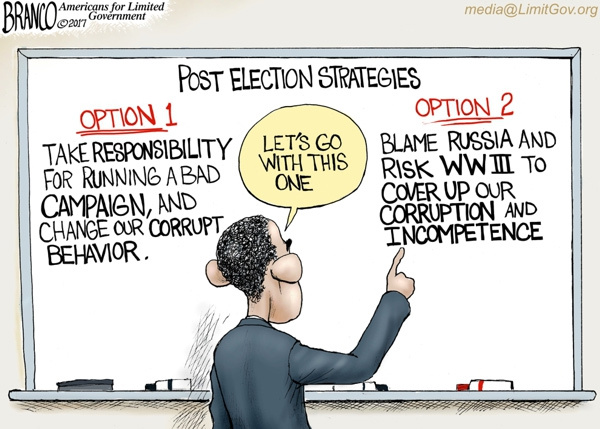 As with every evil scheme, the Deep State plan had an Achilles’ Heel. The technology infrastructure plan in the late 1990’s was to rely on IBM, Microsoft and AT&T for the technology. However, they had a collective problem. They had been so busy selling their legacy “client-server” systems (PC’s linked together in networks) during the 1990’s that they had grown lax in research and development for the emerging Internet. Microsoft’s Bill Gates admitted that he was late to the Internet game, as were IBM and AT&T. During the mid-1990’s, a Columbus, Ohio inventor-entrepreneur named Michael McKibben had saved AT&T from great embarrassment. AT&T Bell Labs discovered that they were not prepared with new email software for the much ballyhooed introduction of Microsoft’s Windows 95. McKibben’s team came to the rescue and built for $1 million in six months what Bell Labs had estimated would cost $6 million and three years. During that time McKibben and his team supported AT&T’s global infrastructure. McKibben’s company and Disney were two of the first ten commercial websites set up by AT&T WorldNet. Engineer McKibben saw a gaping hole in IBM, AT&T and Microsoft capabilities to support large-scale Internet collaboration. They could not scale to the volumes of transactions that Internet users would expect. So, rather than tell anyone what he saw, McKibben quietly formed Leader Technologies in 1997, raised his own funds, hired world-class talent, and ran the research and development himself. He invented what we now know as “social networking” over the next three years. 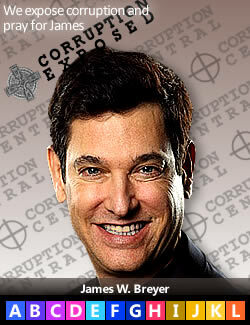 By the early 2000’s he had invested $10 million and created 650,000 lines of programming source code. At 66 lines per page, that’s a 10,000-page book. By contrast, Mark Zuckerberg’s lie is that he invented Facebook in “one to two weeks” while drinking, chasing girls and studying for midterms. Zuckerberg has yet to produce any evidence of his fake story as perpetuated in The Social Network. That's right, Zuckerberg was and is merely a C.I.A. hack. Knowing that their invention was too early for an Internet market with less than 10 million users, McKibben sought to protect these innovations with copyrights and patents. He sought the best patent advice he could find in Washington, D.C. See Leader v. Facebook trial transcripts. 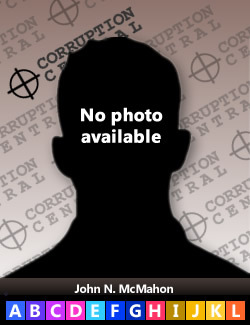 Through various people, McKibben was introduced to law professor James P. Chandler, III. Chandler saw instantly that McKibben had solved the technology problems his Deep State shadow government was having with IBM and Microsoft Internet platform software. Rather than file the patents immediately, which experts say would have been normal advice, Chandler advised Leader to “reduce the invention to practice” before he would file the patents. Since Chandler was advising the Clinton White House, Congress and the Courts on such matters, Leader assumed his advice was sound. Hindsight shows that Chandler’s advice was a self-serving effort to steal the invention for the Deep State. Ironically, Chandler, Clinton, Summers and Podesta had formed In-Q-Tel on Sep. 29, 1999. Leader Technologies was first introduced to Chandler just a few months later in Jan. 2000. Chandler agreed immediately to become Leader’s patent attorney and even to become a member of Leader’s board of directors. 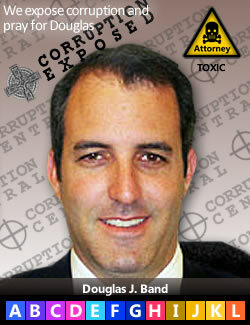 Leader was flattered by Chandler’s interest and naturally assumed that attorney-client confidentiality would be honored. Chandler’s organizing role in the C.I.A. Deep State shadow government has taken many years to uncover. It is pretty well hidden. However, various whistleblowers and FOIA disclosures to groups including Judicial Watch and Citizens United have now exposed Chandler’s central role. Leader’s personnel say that Chandler never disclosed his conflicts of interest with the Clinton White House, IBM, Microsoft, C.I.A., the NSA and the shadow government. On Jan. 18, 2001, Bill Clinton appointed Bill Gates and James P. Chandler to the National Infrastructure Assurance Council (NIAC) which he had formed and empowered by a succession of executive orders. George Bush renamed it the National Infrastructure Advisory Council (also, NIAC) and layered on more executive orders. Fig. 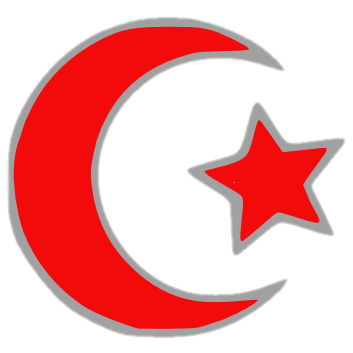 4—The IBM selection of this imagery for The IBM Eclipse Foundation appears to be appropriate since the symbol of Islam is an eclipse of the moon. Six weeks after 9/11, on Nov. 29, 2001, IBM and Chandler formed The IBM Eclipse Foundation with a $40 million IBM “donation” to promote “open source.” Pundits know that IBM and “open source” are oil and water since IBM is the largest holder of patents on the planet. Hindsight shows that the term “Eclipse” may have been well-chosen imagery for the coming radical Islamic jihadi onslaught promoted by Obama’s Deep State as he has apparently attempted to destroy Western economies in favor of China and the New World Order globalists. On Aug. 29, 2002, all of Leader Technologies technical innovations appeared overnight in the IBM Eclipse Foundation distribution of source programming code to a suddenly rich assortment of “members” including SAP, Microsoft, HP, Oracle and IBM. IBM claimed copyrights on it all. A series of laughable narratives by various Eclipse parties tried to cover over this theft of Leader Technologies innovations with nonsensical cover stories. Now we roll this story forward to today to prove that the C.I.A. CREATED the “social” Silicon Valley as the excuse to steal all data from all users, globally, not just in the USA. These facts prove that Silicon Valley is essentially nationalized. Readers should remember recent history: Nazi Germany permitted private industry to flourish as long as the companies like Krupp, VW, BMW, IBM, Mercedes, Siemens, Ford and Opel supported the Nazi political agenda. The involvement of these 'private' companies in this secret White House intelligence operation parallels Nazi Germany's corporate corruption. Kleiner and Greylock are current trustees of In-Q-Tel. Accel Partners and its founder James W. Breyer facilitated the rise of In-Q-Tel while Breyer was Chairman of the National Venture Capital Association (NVCA, 2004) where In-Q-Tel’s founding CEO Gilman Louie was also a director (1999-2006), as was as In-Q-Tel trustee Theodore "Ted" E. Schlein, CEO of Kleiner Perkins. Krongrad A.B. “Buzzy” A.B. 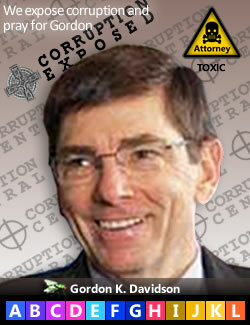 “Buzzy” Krongrad Trustee DLA Piper LLP, C.I.A. 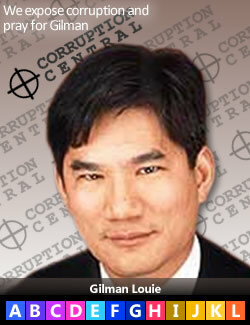 Louie Gilman Gilman Louie CEO emeritus "Once C.I.A., always C.I.A." Table 1—C.I.A. managers/agents of In-Q-Tel. The illegal collusion of the Deep State military-industrial complex is grossly evident just in the list of In-Q-Tel trustees. 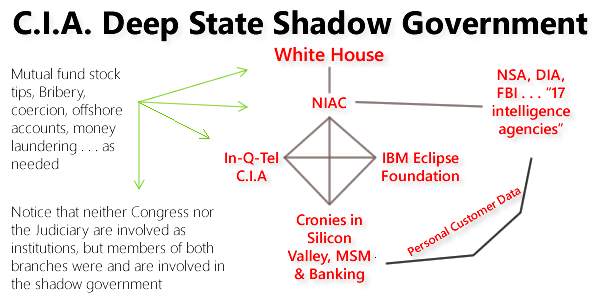 When we add the list of members in the NIAC and IBM Eclipse Foundation, the evident corruption of the shadow government is glaring. Again, one wonders why no one in government, intelligence, commerce or the military blew the whistle on this massive collusion. It appears that when the rogue public-private C.I.A. operatives came out of the woodwork to smear Donald Trump with all the talk of fake news and supposed Russian dossiers, they over-played their hand, thankfully. "The Internet of Things:" Even your alarm, toaster and fridge now spy on you for the C.I.A. thanks to these traitors. These three “vulture” capitalists have together funded 2,387 financings of largely Silicon Valley companies that are heavily committed to the C.I.A. “The Internet of Things” social technologies. Accel Partners, Greylock, Kleiner Perkins. Click here for an Excel | PDF full downloads of the CrunchBase financing summaries for Accel Partners, Greylock and Kleiner Perkins. Fig. 5—James P. Breyer is Facebook's largest institutional investor. 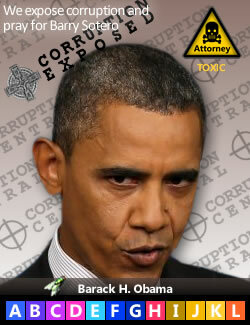 He is closely allied with the C.I.A. 's venture capital company, In-Q-Tel. 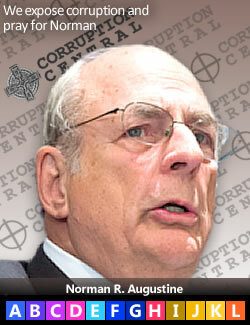 In May 2012, Breyer resigned as Wal-Mart director after the Mexican bribery scandal. 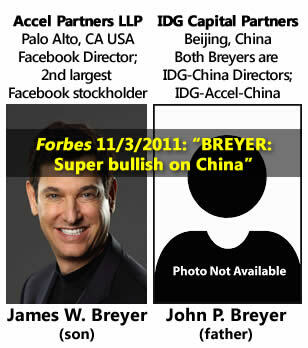 Breyer has shifted his venture capital investing priority outside the the U.S. to China where his reclusive father, John P. Breyer (the web has been essentially cleansed of Breyer Sr.'s biographical information who was the founder of ComputerWorld (! 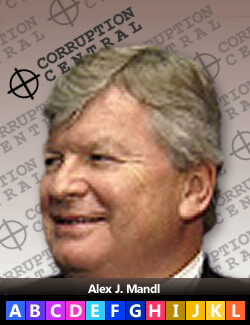 ), but AFI investigators found some information linked here), moved to set up IDG-Accel and IDG Capital Partners. 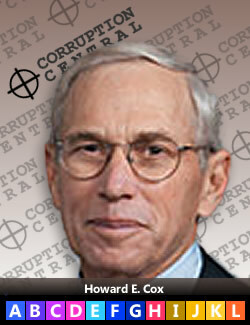 John P. Breyer, Andy Grove (Intel) and George Soros are fellow Hungarian refugees. Some of the Chinese officers of Breyer's IDG Technology Venture Investment III LLP and Wininchina, Inc. were identified by HSBC Swiss whistleblower Hervé Falciani as being involved with off-shore money laundering of dictators, drug and arms dealers. The HSBC money launders fingered by Falciani include all of the Facebook IPO underwriters and several Facebook law firms. Breyer is also pressing Barack Obama to push through the Trans-Pacific Partnership (TPP) which includes liberal intellectual property provision allowing infringing countries to rewrite their rules at any time to favor a local infringer like Facebook and other Breyer companies. Many technology operatives are now meeting in Davos, Switzerland at the World Economic Forum. They are openly complaining about Donald Trump’s populist victory in America, and Brexit in the UK. Tellingly, one of the keynote speakers was Chinese President Xi Jinping. The Chinese president is openly calling for censorship of the American populist alternative media. Davos globalist disciples are now looking to Communist China to save their 100-year One World Government agenda (e.g., Rothchilds, Bilderberg, Rockefellers, J.P. Morgan) to establish corporate control of world government--a movement that is now being resisted worldwide. No wonder the American Republic is teetering. An entire generation of technology entrepreneurs in Silicon Valley has been morally and ethically ruined by this rogue group of C.I.A. 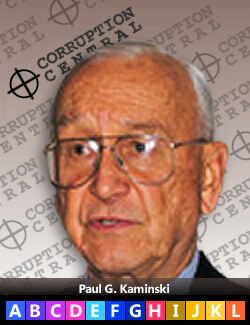 spies and their global accomplices. 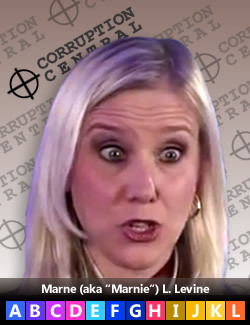 These In-Q-Tel people elected themselves to dictate the rules of our business and social discourse. The American Republic is under attack. We need to find every way to resist these globalists. "We all lie for the C.I.A... I'm fed up with this propaganda"
Jan. 06, 2017: The day the C.I.A. / NSA turned against our privacy rights - Trump is right. Sep. 11, 2015: Spy state cartel has taken over the digital world. Aug. 11, 2015: Hillary & Bill shill for a secret intelligence agency cartel. Aug. 03, 2015, Will Republicans debate the real core of Washington corruption — the C.I.A. Facebook spy state? Jul. 17, 2015: Disastrous rise of a lawless C.I.A. Jul. 09, 2015: Facebook started by C.I.A. as spy-state tool. Jun. 23, 2015: IBM lied about NSA spy platform. May 29, 2015: NSA bulk data scheme controlled by an IBM cartel. 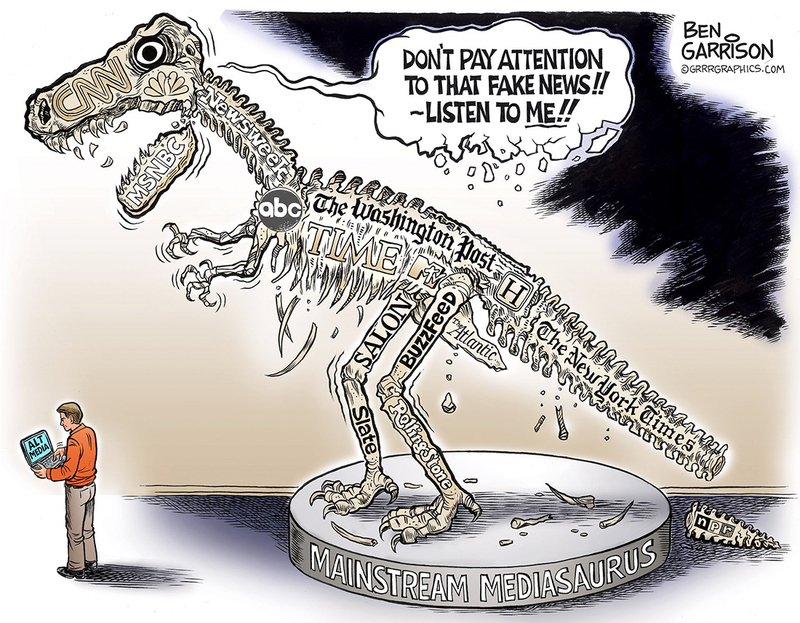 NOTICE TO READERS (12/09/16): Google began blocking reader comments on this site the same day the MSM "fake news" diatribe began in the U.S. and Europe supported by Hillary Clinton—the queen of lies. This is an unvarnished attempt to silence citizen resistance to the attempt by globalists to dumb down the electorate and establish a corporate world government. Therefore, we subscribed to a Leader Private Email account (the real inventors of social networking) to which you can email your comments and we will post for you. If this blog is blocked, no worries, we will repost everything on independent media. The truth cannot be silenced. Resist. Fig. 1: New research on the C.I.A. shows why donald trump must reorganize it before it completely destroys the U.S. constitution. Few citizens know that the C.I.A. runs a large private investment company in Washington, D.C. and Silicon Valley named In-Q-Tel ("IQT") started on Sep. 29, 1999 by President Bill Clinton. Presidents George W. Bush and Barak Obama have perpetuated and grown the company. Bottom line, C.I.A. liars gave birth to the liars of Silicon Valley—techies, lawyers and Wall Street. Main Street was screwed. This Clinton-Bush-Obama spying scam is just outrageous. 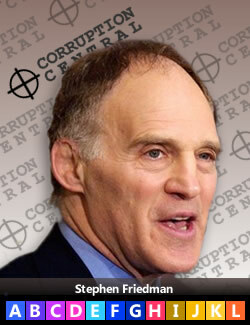 How many elected officials, bureaucrats and judges are compromised by bribes, coercion, blackmail, insider trading, money laundering, offshore bank accounts, drug smuggling, pedophilia, rigged contracts, threats and cronyism? In-Q-Tel secretly created the social networking industry. That's right, the C.I.A. essentially created Google, Facebook, Yahoo, YouTube, Twitter, Instagram and others as a universal spying tool to gather dirt ("information") on every citizen of the planet. We believe the C.I.A. has emerged from the shadows after Donald Trump’s election because they are just about to lose control of their social media spy platform, as well as the technology relied upon by their co-conspirators Facebook, Google, AT&T, Verizon, AOL, What's App, Twitter, YouTube, Instagram, etc. Just imagine how unscrupulous globalist New World Order actors like George Soros, John Podesta and the Clintons have used this C.I.A. / NSA dirt to coerce and blackmail politicians, bureaucrats and judges into submission since 1999. Their plan to control global information flow after Bill Clinton took power in 1993 was being delayed because legacy IBM, Xerox and Microsoft "groupware" technologies were not able to handle the millions of simultaneous Internet transactions. In 2000, their serendipitous discovery, theft and exploitation of the social networking invention of Columbus innovator Leader Technologies was pure evil genius. Lock them up. If you are accessing the AFI TIMELINE ("People you trusted are now hijacking the Internet") for the first time, please be patient and wait for the full download (make some tea or coffee), the bookmark will automatically go to Item No. 56. Facebook, Nat. Venture Capital Assoc. 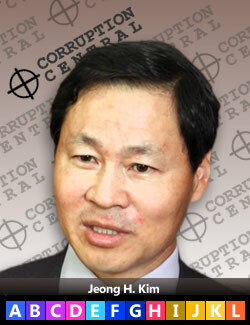 CEO, C.I.A., Nat. Venture Capital Assoc. (Jan. 06, 2016)—On Sep. 29, 1999, Bill Clinton and his White House shadow government allowed the C.I.A. to form a private company named In-Q-Tel. However, there is one BIG problem: the C.I.A. / NSA are forbidden from operating inside the United States. It appears that our nation’s leaders turned a blind eye to our Constitutional privacy rights en masse. In-Q-Tel immediately began investing in Silicon Valley hardware and software companies. They now effectively own and certainly control much of Silicon Valley, directly and indirectly. They reap hundreds of billions of dollars a year from these investments. They manage massive offshore accounts. Those funds are used to fund a global technocracy of crony capitalists led by globalist don George Soros. The current narrative that the Russians hacked the U.S. elections was allegedly leaked by an unidentified C.I.A. operative―who produced no evidence. WikiLeaks’ Julian Assange has said repeatedly that his John Podesta emails did not come from Russia or any other state actor. Other sources say they came from inside the U.S. intelligence community in order to inform the American electorate about the extent of the corruption. 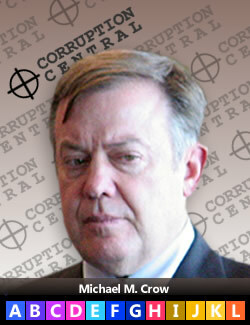 Even the FBI would not confirm the shadowy C.I.A. allegations, yet the MSM continues to repeat the accusations ad naseum. There are at least three reasons why Americans cannot rely on the truthfulness of the C.I.A. First, the C.I.A. 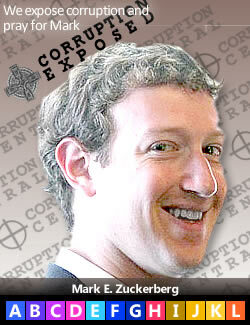 broke the law in 1999 by investing in private U.S. technology companies. This means that Silicon Valley is essentially a nest of spies aligned with their globalist taskmasters. These spies grossly abuse the digital privacy rights of every American. Secondly, the C.I.A. are hired liars who assassinate people for a living. They are not to be believed. Thirdly, NSA Director Eric Clapper lied to Congress on Mar. 12, 2013 when he said that the NSA was not spying on Americans. See video below "NSA Clapper's Big Lie." 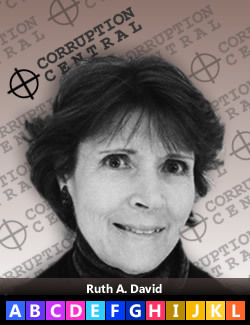 THE BIG LIE: "The origins of the concept that has become In-Q-Tel are traceable to Dr. Ruth David, a former CIA Deputy Director for Science and Technology [she was appointed by President Obama as a member of the National Science Board and National Science Foundation in 2012]. 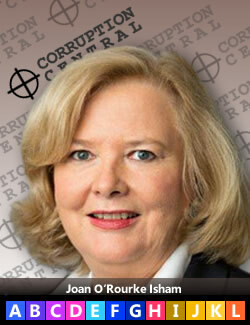 She and her Deputy, Joan Isham, were the first senior Agency officials to understand that the information revolution required the CIA to forge new partnerships with the private sector and design a proposal for radical change. The timing of the proposal was fortuitous. The Director of Central Intelligence (DCI), George Tenet, had just launched his Strategic Direction initiative that included technology as one of its areas for review. The study made a direct link between the Agency’s future technology investments and improving its information gathering and analysis capabilities." No one appears to have challenged the constitutionality of the C.I.A. owning a private American company on U.S. soil. Despite President Eisenhower's dire warning about the amassing of unchecked power, the entire military-industrial complex lined up behind C.I.A. In-Q-Tel and supported a fundamental breach of U.S. law that fobids the C.I.A. from operating inside the United States. Fig. 2—On Jan. 17, 1961, President Dwight D. Eisenhower warned the world about the dangers for tyranny arising from a military-industrial complex. 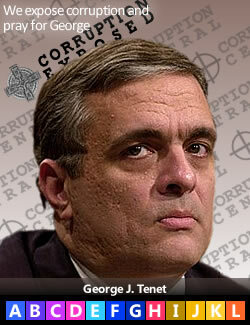 As this investigation uncovers, that day came on Sep. 29, 1999 when the C.I.A. began investing in hardware and software companies, thus essentially nationalizing, largely in secret, America's emerging digital infrastructure. This gave the C.I.A. an unprecedented and unaccountable ability to spy on everyone without a warrant. Raw *.mp4 video file. In-Q-Tel / C.I.A. 's Founding Technocracy "Trustees"
Ault III, Lee A. Telecredit, Inc.
Friedman, Stephen Goldman Sachs; Marsh & McLennan Capital, Inc.
Mandl, Alex J. AT&T, Teligent,Inc. Click video to watch 35 sec. video of NSA Director James R. Clapper flagrantly lying to the American people. Fig. 3—James R. Clapper denied that NSA spies on Americans & lied to cover it up in this 35 sec. video evidence. Video: C-SPAN3. https://youtu.be/v3d-re0dtKA | Raw *.mp4 file. "Does the NSA collect any type of data at all on millions, or hundreds of millions, of Americans? Clapper lied: "No, sir," rubbing his head. Sen. Wyden then asked, "It does not?" Still rubbing his head (knowing that NSA was engaged in massive illegal surveillance and that he was willfully ["wittingly"] covering it up): "Not wittingly. There are cases where they could inadvertently, perhaps, collect, but not wittingly." Edward Snowden blew the whistle on Clapper nine weeks later on Jun. 06, 2013. Clapper was undoubtedly feeding salacious blackmail data to the DNC, Clintons and Podesta—an age-old spy tactic to compromise a target. See video evidence of Clapper's cover up and lie. See the official Senate transcript. Attorney General Eric H. Holder was obviously in on this, which is why it has taken three years for Clapper to go. CITATION: S. Hrg. 113-89. (Mar. 12, 2013). Testimony of NSA Director Eric R. Clapper, Current and Projected National Security Threats to the United States. Hearing before the Select Committee on Intelligence, United States Senate, 113th Congress, First Session. 82-721-PDF. GPO. The C.I.A. and their New World Order globalist conspirators are attempting to use “fake news” as a Russian bogey man to block a Donald Trump presidency. America is under attack from rogue C.I.A. / NSA spies bent on running a permanent global technocracy. Resist.